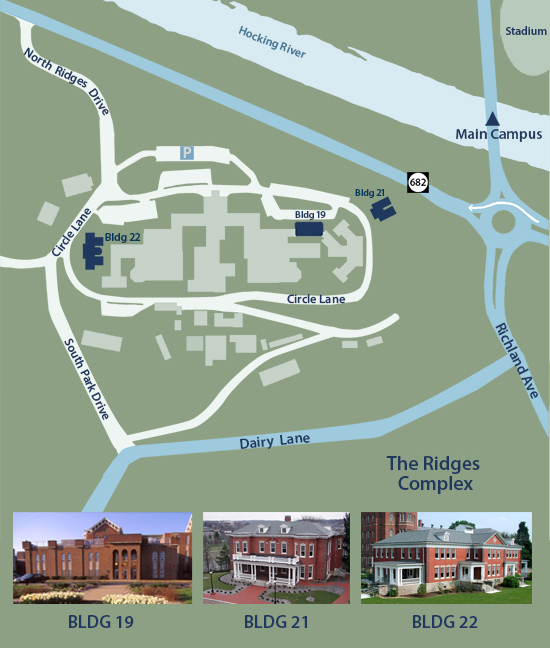 Travel Directions to TechGROWTH Ohio – located in Building 19 on the Ridges at Ohio University in Athens, Ohio. To reach Buildings 19 turn left. Building 19 is near the end of the main building in the new addition. Please see building reception regarding parking permits.